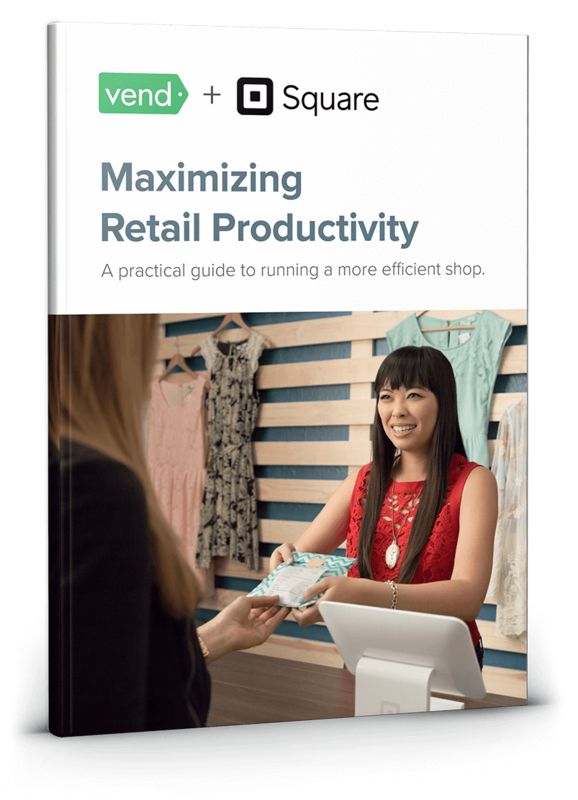 A practical guide to maximizing store productivity. Practical steps for streamlining store operations to help increase efficiency, profits, and customer satisfaction. Discover the latest tools and techniques retailers are using to get more done in less time. Get to know the proven process that’ll help you do away with tedious tasks so you can focus on running and growing your business. Wise up on the latest tools you can use in your retail business to improve productivity. Learn how to connect various retail solutions to reduce double entry and human error. Get formulas and cheat sheets for measuring your store’s performance. Immediately implement the techniques and pointers you’ve learned with our handy checklists. Learn from top retail and technology experts. Mallory Russell is the editor-in-chief of Square’s Town Square blog and resource center. She regularly writes on topics that help entrepreneurs start, run, and grow their businesses. 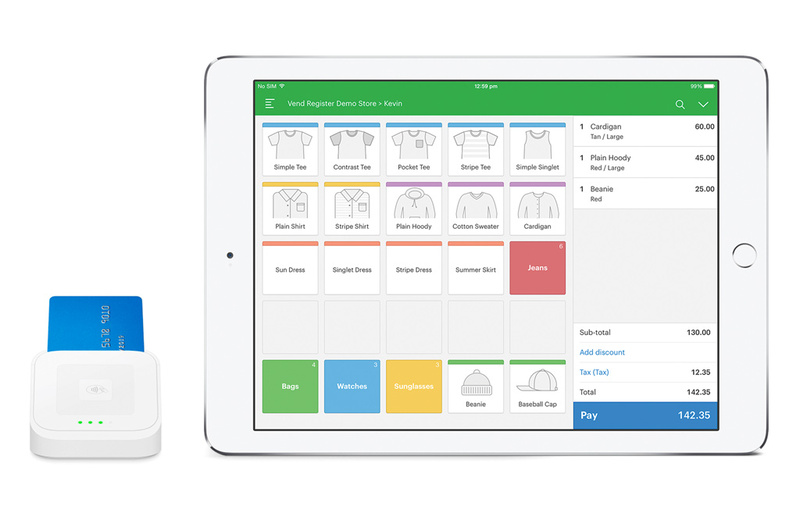 Square Payments for Vend POS. Vend is a cloud-based retail software platform that enables retailers to ring up sales, manage inventories, reward customer loyalty, and garner insights into their businesses in real-time. Vend is simple to set up, works with a wide range of point of sale devices, and operates on any web-capable device with a browser. Square helps sellers of all sizes start, run and grow their businesses. With Square, you can accept magstripe, chip card, and NFC payments like Apple Pay® or Android Pay™, from anywhere. What’s this guide all about? 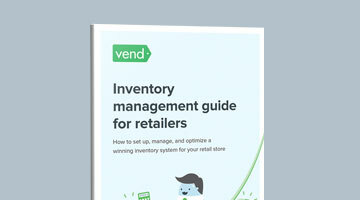 This resource is all about helping retailers improve store productivity. It sheds light on helpful tools you can use in your shop, and it discusses the steps you can take to ensure your business runs like a well-oiled machine. It also talks about the importance data, and how tracking the right metrics will enable you to allocate resources more effectively. This guide is primarily for people running a brick and mortar store. You could be a business owner who wants to free up more hours in the day. Or maybe you’re a manager or associate who wants to improve store processes. Whatever the case, if you work in retail, you’ll find some great nuggets in this guide. What makes it different from other guides? Unlike other guides, which focus on providing information, this resource was designed to be highly actionable. It contains action steps, formulas, and checklists to help you implement what you’ve learned. Plus, it contains expert commentary and real-life examples of other retailers who are running efficient stores. 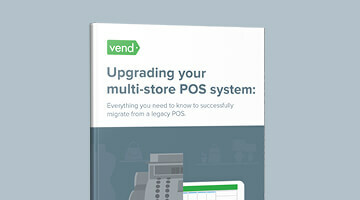 Do I have to be a Vend or Square user to benefit from this resource? Nope. 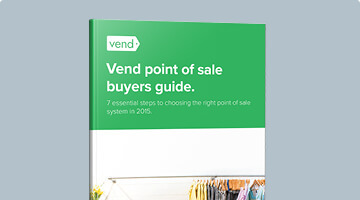 The information and tools in this guide are vendor-neutral, so you’ll be able to benefit from this resource no matter what solution you’re using.